 C.G.J.Mathias & Son (Nurseries) are a third generation family nursery business which has been established in the Surrey Hills for over 50 years as growers and suppliers of a wide range of hedging plants. Having been growing plants since 1963, our staff have a wealth of knowledge on all aspects of horticulture and are well placed to help you with deciding what would be best suited to your requirements. Our nursery is based in Tilford, Nr Farnham, Surrey (GU10 2BH) and customers are most welcome to come and see our stock during working hours (8am – 5pm, Monday – Friday) before deciding which plants to purchase. Customers are very welcome to collect plants from our nursery or we can deliver using either our own fleet of vehicles or our nationwide dispatch service. As growers, we specialise in the production of all varieties and sizes of hedging plants, with a particular focus on the larger sizes of hedging. We also grow and supply a range of trees, shrubs, topiary and pleached hedging. 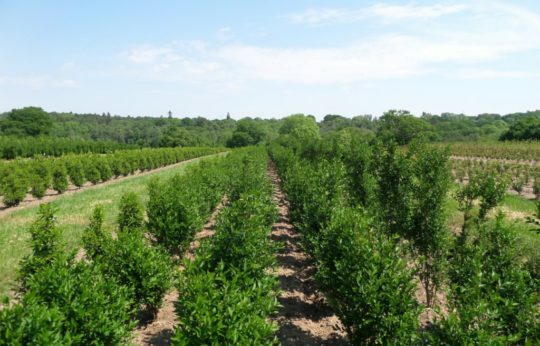 Our main range of hedging suitable for larger hedges includes varieties such as Laurel, Leylandii, Castlewellan Gold, Thuja, Yew, Privet, Beech, Hornbeam, Holly, Photinia ‘Red Robin’ and Portuguese Laurel and other Native Hedging. 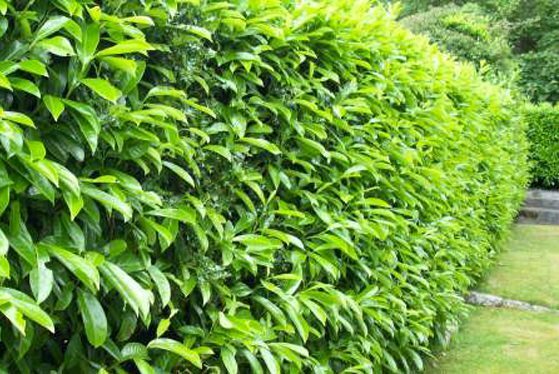 In addition, we supply a range of smaller hedging including Box, Euonymus, Sarcococca, Pyracantha, Griselinia, Lonicera and Lavender. If there are particular plants that you require, please telephone us on 01252 714552 or email us on [email protected] as we may have a new crop coming that is not visible on our website yet or we may be able to source the plants from elsewhere for you. Although we only grow and supply hedging we can usually put local customers in contact with contractors who will plant their trees for them if required. The majority of our production is based on container grown plants, however we also have a field grown nursery for plants that are either transplanted into containers or are sold as bare root or root balled plants in season. Plants are either sold individually or increasingly in the format of instant hedge troughs. Our nursery production is carried out to the very highest standard of which we are incredibly proud and we believe that our plants are as good as you will find anywhere and represent extremely good value for money. All of our hedging plants are clipped throughout the year to encourage bushy growth to ensure that the final product is a bushy plant that will start to form a hedge immediately after planting. In field plants are trimmed mechanically using a mechanical trimmer that is the only one of its kind in the UK.